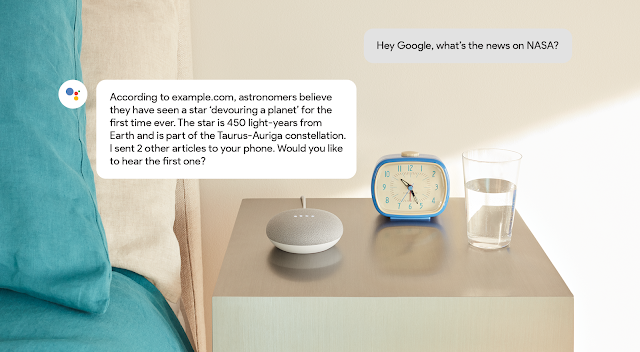 Google has announced a new markup system that’s going to make content more accessible through voice search. According to comScore, 50% of all queries will be voice searches by 2020, but search providers and marketers still need to figure out how to create and optimise content for this shift in user behaviour. Now it seems Google has come up with a credible solution that could shape the future of voice SEO – a BETA feature called Speakable. The search giant has been working with schema.org to create a new markup property that allows you to wrap parts of your content in tags that Google can ‘read’ aloud to users for relevant queries, much like an audible version of instant answers. When someone asks Google Assistant an informational query like “what’s the latest news on NASA?”, all it can do right now is return a list of search results to their phone with all the latest news. It can’t read out a list of 10 headlines – most of which would all be the same anyway – and there’s currently no way for Google to ‘read’ page content to users. This is all changing with Speakable. The new markup system allows Google to read content directly from web pages and keep the voice experience alive. So when someone asks for the latest news on NASA, Google can read an excerpt from the article it considers most relevant. More importantly, from a marketing perspective, we’ve finally got a way to optimise text content for voice search – something we’ve been sorely missing. How can I optimise our content with Speakable? Sadly, you’re not going to be able to use Speakable just yet, as it’s still a beta programme that’s only available to certain English-language publishers in the US. It’s also restricted to news sites that submit content through Google’s Publisher Center and an active Google News Producer. So this means Speakable is going to be out of reach for your typical business publishing blogs and promotional content – at least for now. Google says it will open the feature to other countries in the near future and we expect it to open up for brands outside the news industry too. Let’s not forget AMP was also originally designed for news publishers but this has since been opened up to all content creators and even businesses with AMP landing pages. Either way, the important thing at this stage is that Google has a workable solution for optimising web pages for voice search. What does this mean for marketers and the future of voice search? It’s important to understand the role voice search is going to play in the future of marketing though. There seems to be this assumption that voice search is going to become the new search, where it replaces the need for screens altogether. This simply won’t happen because buying products and services is a highly visual process. Nobody’s going to buy a new outfit or wedding dress without seeing them. You’re not going to browse hotel rooms or choose between the best beach holiday destinations without looking at pictures or videos and probably reading some reviews on another device. Even when it comes to choosing a new piece of software, you want to see the provider’s website, look at screenshots of the user interface and try out a demo before you buy anything. 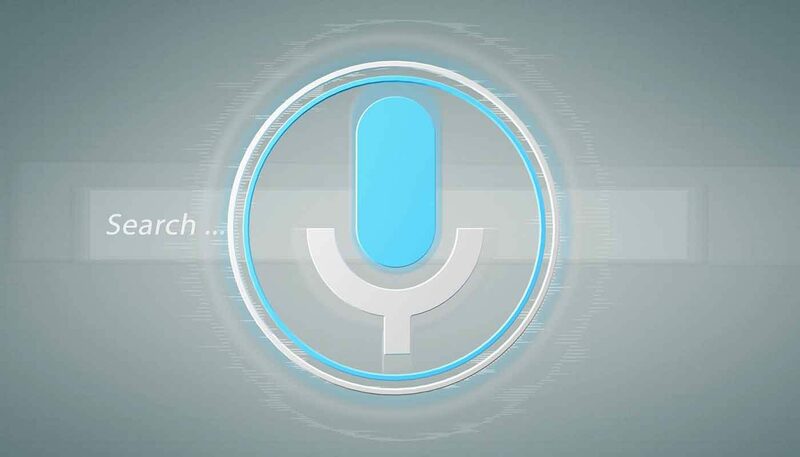 Voice search isn’t going to replace the visual web but it is going to act as the first interaction for a growing number of informational queries. Users don’t expect to buy a house using voice search but they might ask Google what prices are like in certain areas. Likewise, people probably aren’t going to buy a new TV using Google Home, but they might want to know what the latest models are or which time of year they can get the best deal. 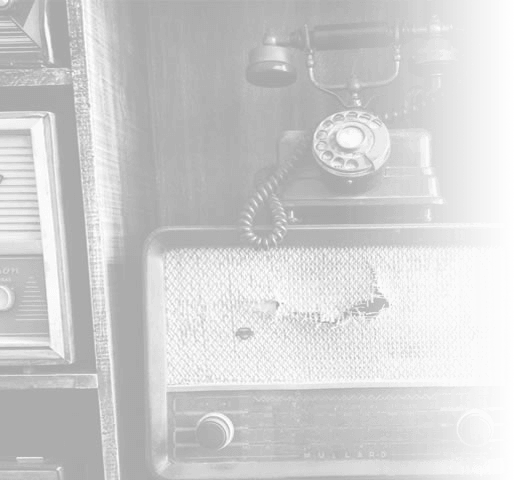 Instead of thinking of voice search as the new search, think of it as an additional channel that’s going to diversify the way people interact with brands. As a marketer, you need to spot the opportunities that hold commercial value and optimise your content strategy to be seen in the right place at the vital moment. Speakable could be the technical optimisation method we’ve been waiting for but the real challenge is fitting voice search into your wider marketing efforts.